Republic Day is a very special and important occasion for India and people living in India. We celebrate it every year with lots of preparations. We have listed some motivational, inspirational and revolutionary quotes on Republic Day of India said by some famous personalities and legends of India (Atal Behari Vajpayee, Swami Vivekananda, Jawaharlal Nehru, B. R. Ambedkar, etc) and other countries (Niccolo Machiavelli, Theodore Roosevelt, Elmer Davis, Andrew Jackson, Evo Morales, Alexander Henry, Joseph Pulitzer, etc). Republic day is one of the most important national events of India. It is celebrated each year on 26 January by the people all over the country in order to commemorate the enforcement of Indian constitution into existence. We have provided below some unique and meaningful slogans on Republic Day in English. Republic Day Slogans in English are used to make its celebration more effective and memorable. 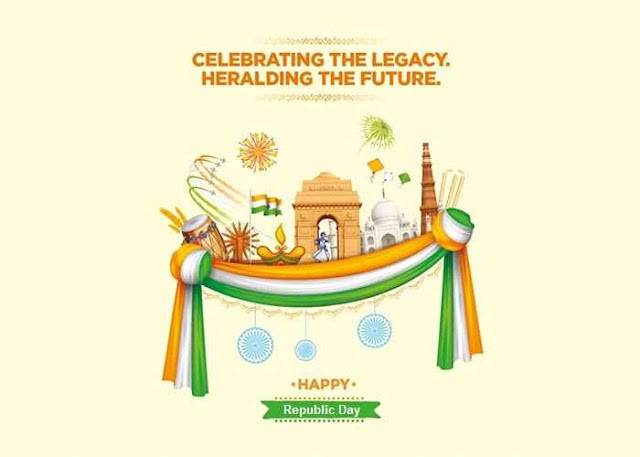 You can choose any republic day slogan to celebrate 26 January. NMMS Exam 2018 - DGE Final Key Answer Published!